The Peloponnesian War, one of the most significant events in ancient Greek history, enveloped the city-states of the ancient Greek world, forever changing the region. This copper engraving by Matthaus Merian illustration depicts the Athenian naval defeat near Corinth over the Corinthian and Spartan fleet around 430 B.C.E. The Peloponnesian War was a war fought in ancient Greece between Athens and Sparta—the two most powerful city-states in ancient Greece at the time (431 to 405 B.C.E.). This war shifted power from Athens to Sparta, making Sparta the most powerful city-state in the region. The war featured two periods of combat separated by a six-year truce. Athens and Sparta had previously quarreled in the decades prior to the war. One of Sparta’s allies, Corinth, had directly engaged the Athenian army. As a Spartan ally, Corinth resumed hostilities toward Athens when Athens threatened Corinth’s interests in the region surrounding Corcyra. This eventually drew Sparta into the conflict. The Spartan army began by raiding lands within an Athenian allied territory, particularly a region near Athens called Attica. The Athenians had built walls stretching from their seaport to the city of Athens. The walls helped protect Athens from direct assault, and its leader, Pericles, urged Athens not to engage in direct land battles with the Spartans. 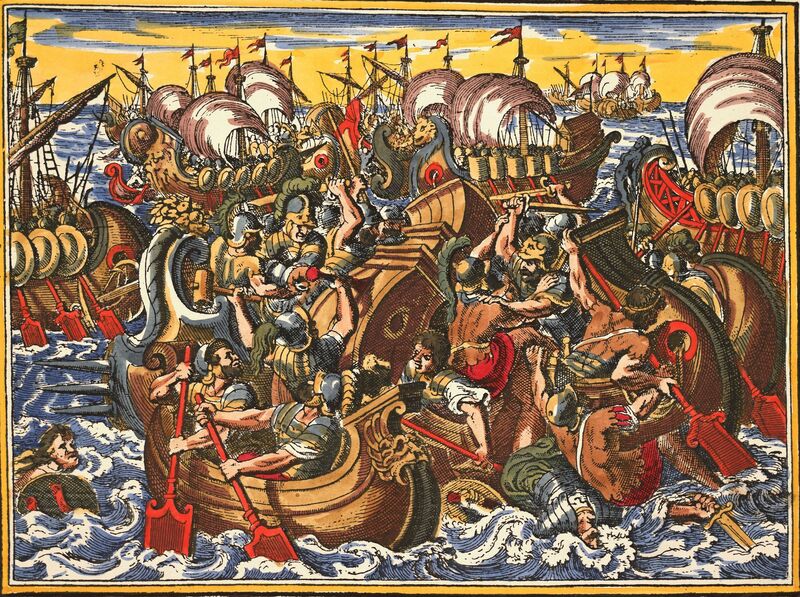 Instead, the Athenians used their navy to deliver troops into the Spartan territory to conduct raids on settlements. After years of open warfare, Sparta offered peace and Athens accepted. The agreement was made official with the signing of the Peace of Nicias. The treaty stated that Athens and Sparta would defend each other for the next 50 years. However, the treaty only lasted six. Hostilities resumed between Athens and Sparta with an assault launched by the Athenians at Sicily. Sparta decided to retaliate. Learning from its past experiences with the Athenian navy, they established a fleet of warships. It would be another decade of warfare before the Spartan general Lysander defeated the Athenian fleet at Aegospotami. This defeat led to Athenian surrender. As a result, the Peloponnesian War was concluded. Simultaneous to the end of this conflict came the end of the golden age of ancient Greece.